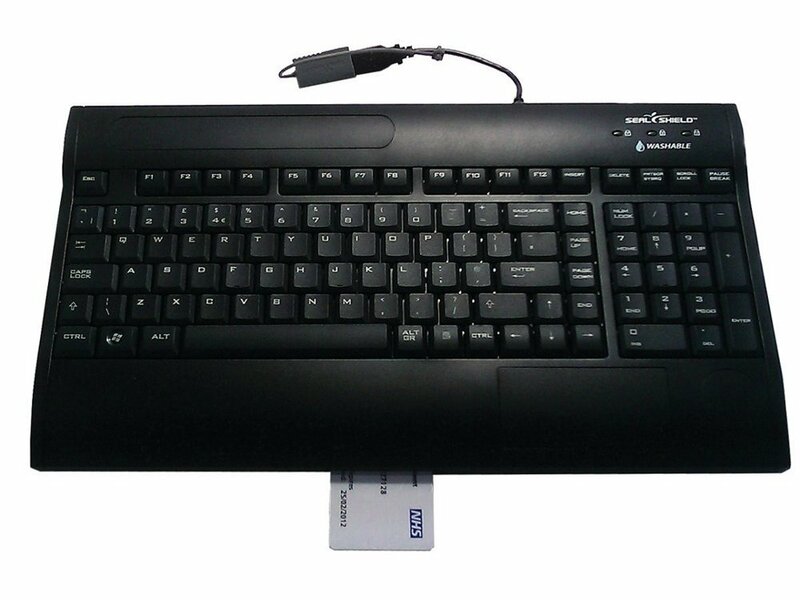 The SEAL SMART Keyboard (S105R) is 100% waterproof, dishwasher safe, and features an SCM Smart Card Reader encapsulated in the ergonomic wrist rest for easy, front load access. It has been created to help reduce the risk of worldwide cross contaminations, including H1N1, Norovirus and the "superbug" MRSA. The integrated SCM Smart Card reader makes the product ideal for locations which require secure access via Smart Card technology. Additionally, Silver Seal technology protects the product with an antimicrobial, fungistatic additive that inhibits the growth of microbes, odour-causing bacteria, mould, mildew and fungi on the product's surfaces.